American shopping mall mainstay Perfumania is closing stores and filing for bankruptcy. Perfumania Holdings (PERF) sells discounted perfumes from high-end brands, such as Dolce & Gabana and Burberry. It filed for Chapter 11 bankruptcy on Saturday, intending to close 64 of its 226 stores and take the company private as part of its reorganization, according to bankruptcy court filings. Unlike many other now defunct retail brands left for dead in the wake of a retail upheaval, Perfumania says it will stay open for business. The company hopes bankruptcy will allow it to renegotiate its leases and focus on high-performing stores "to establish a foundation for sustainable long-term growth," Perfumania CEO Michael Katz said in a prepared statement. 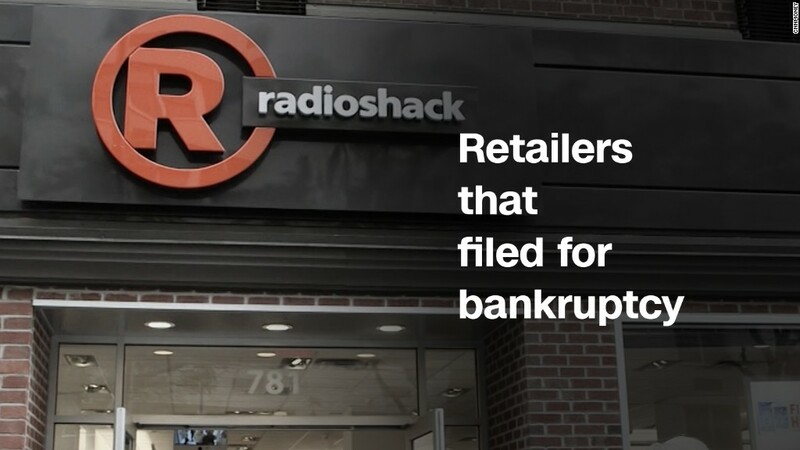 Despite closing 103 stores over the past three years, the company was still losing money. Perfumania plans to focus on boosting its online sales to offset its losses. Retailers such as Bebe, Staples (SPLS) and JCPenney (JCP) have closed thousands of stores this year. There are some positive signs for retail: the second quarter brought some unexpectedly good earnings from many brands. But brick-and-mortar stores on the whole are struggling to compete with Amazon's (AMZN) e-commerce sales. Shares soared 35% on the news. Bankruptcies usually hit shareholders the hardest, but investors believe they will be made whole -- and then some -- after the company is taken private.